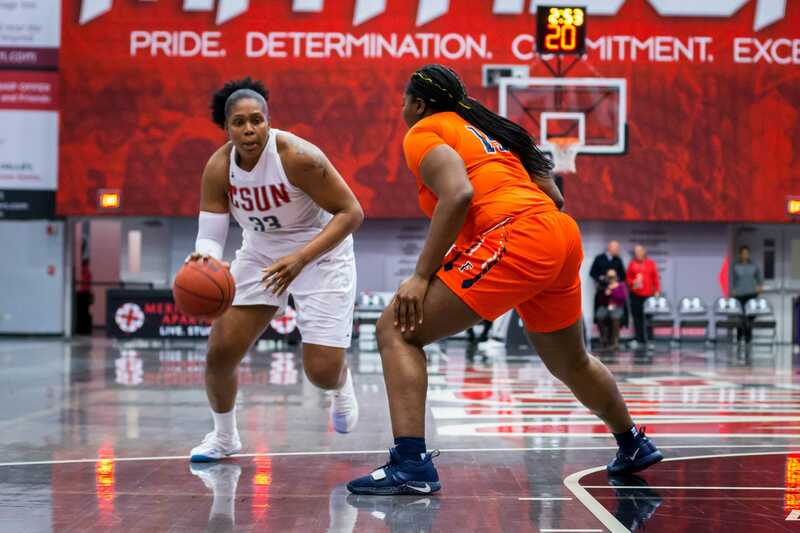 The Matadors beat the Titans 74-44 on the back of senior Channon Fluker’s 70th career double-double and a season-high 50.8 percent showing from the field. 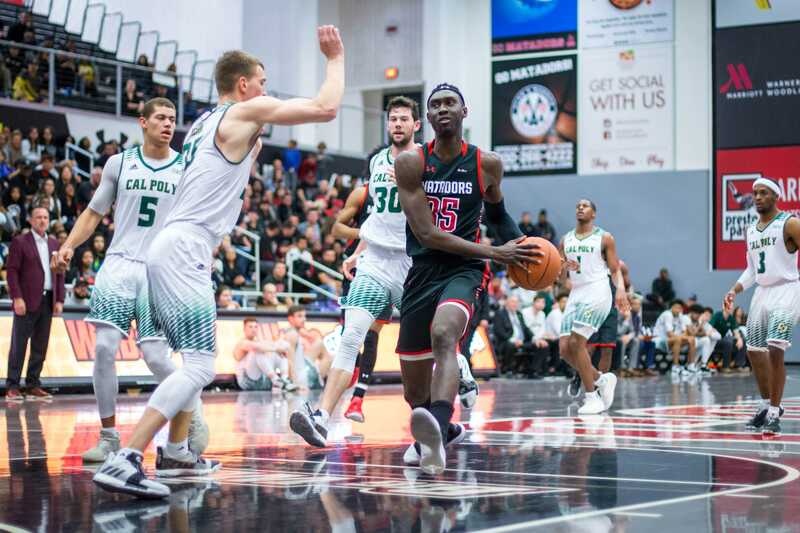 The Matadors now move to 11-10 overall and 5-2 in conference play after the win, maintaining their spot in second place in the conference standings. 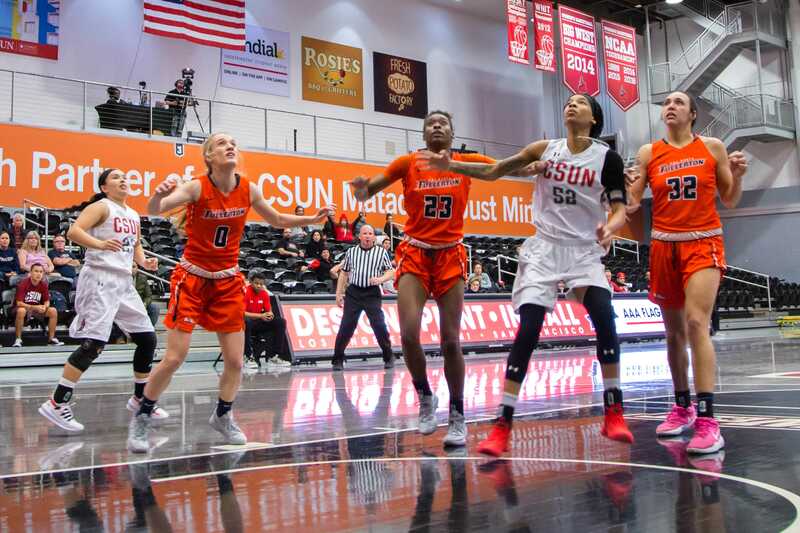 The story of the game was the Matadors’ clamp-down defense, forcing multiple shot clock violations and keeping the Titans to shoot 29 percent as a team. 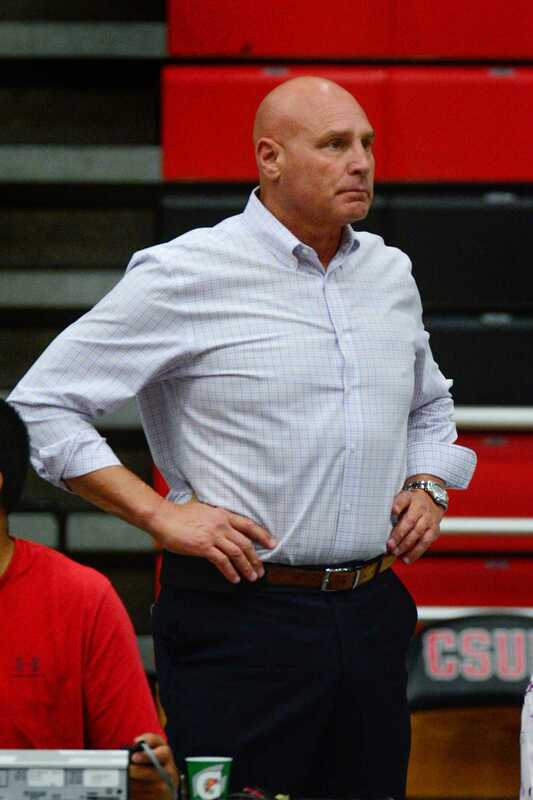 While the Titans are usually a very solid three-point team, it did not show against the Matadors, as they were only able to make two for the game, good for three less than their average, and shot 12.5 percent on those attempts, good for 19 percent worse than their average. 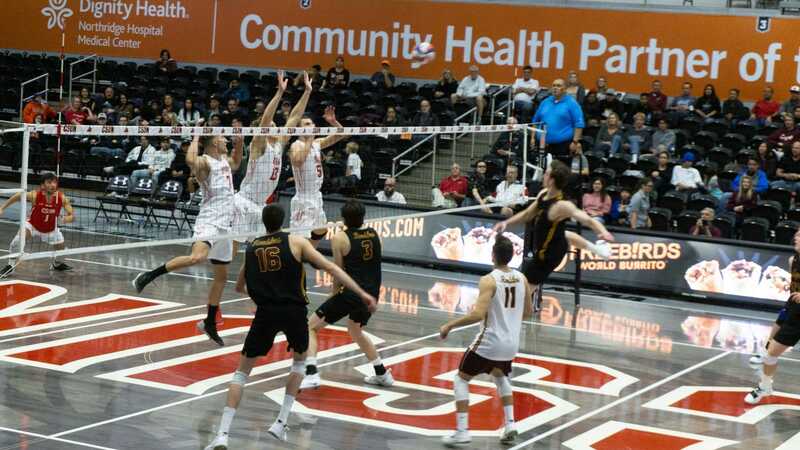 Another takeaway was this was the first time all year that the Matadors shot above 50 percent. Fluker came out the gate firing on all cylinders, scoring six points, a block and a steal in two and half minutes. She would finish with 16 points, 11 rebounds, six blocks, a steal and a three-pointer. 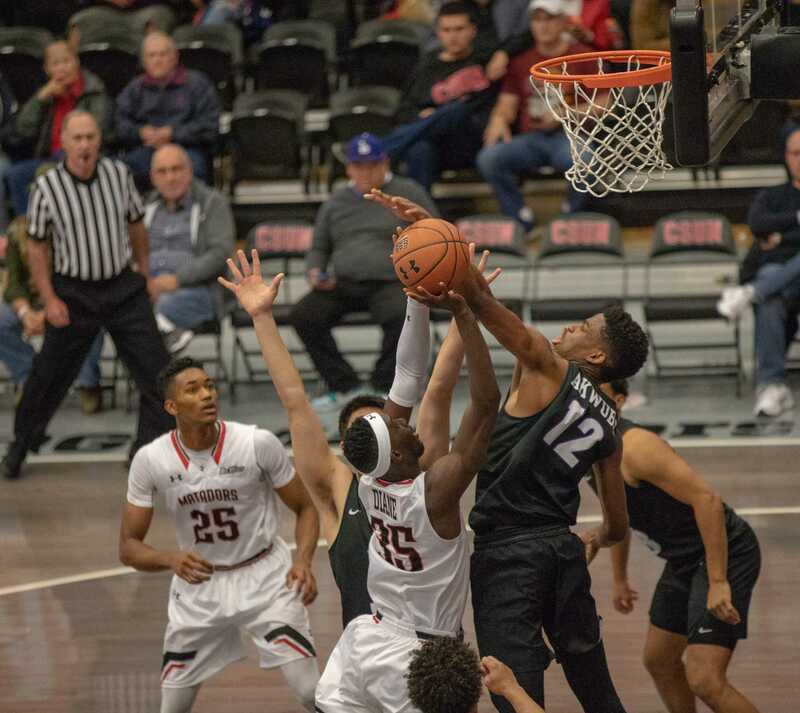 The Matadors would also get significant contributions from juniors Eliza Matthews and De’Jione Calloway. Matthews finished 6-6 from the field with 12 points, four rebounds, an assist, a block and a steal. Calloway added 10 points, seven rebounds, a block and a steal. Flowers is very confident in his team going forward and with career nights from both Matthews and Calloway, he is excited for the future. At 5-2 in conference play, the only team with a better record is UC Davis; however, coach Flowers isn’t concerned. “There’s only one team we’re concerned about and that’s the team that’s in that locker room,” he said.